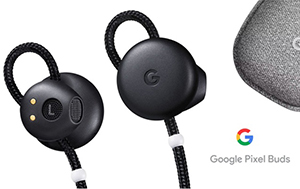 Google’s Pixel Buds wowed the users with the reveal of its amazing superpower. In this new world where smart things are getting smarter, all the magic happens without having a visit from a technician or having to buy a new gear every-time. On a flip of a switch or so it appears to be, Google engineers changed the functionality of tens of thousands of devices over-the-air. Now two people speaking different languages can have a conversation, in real time. The future of things which was once thought as software and its seamless distribution is here. More on this in the article by Jon Markman in Forbes.